This month's challenge for the Creative Cooking Crew involves making something inspired by Halloween, whether it's a creepy dish, one that's orange-and-black, or even something inspired by a horror movie. 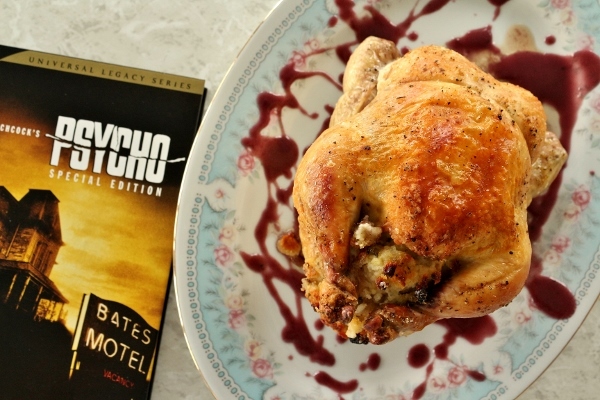 Being the film school graduate that I am, I couldn't resist creating a dish based on a horror film. Selecting a film was the first challenge, but I quickly decided it needed to be something by Hitchcock, one of my absolute favorite directors. Although Hitch has a large database of suspenseful cinema, there is one horror film that is truly the pinnacle of his outstanding career. In his vast catalog, the most famous (or infamous) film is also the perfect selection for this challenge: PSYCHO. I'm obsessed with Psycho. Cinematically, it was a game-changer. Movie-goers were not allowed into theaters after the film had begun. This was the first time in history that there was a rule like this in place that all movie theaters actually enforced! Psycho was shocking, even down to its smallest details. Did you know that Psycho was the first American film to ever show a toilet being flushed? If you haven't seen the movie, I don't want to ruin it. I will say that you if you are a fan of cinema, then you owe it to yourself to see Psycho. Now, how does my dish tie in with the movie, you ask? 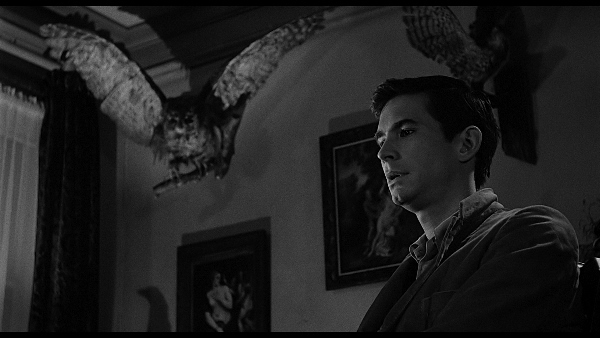 Well, you may note the Norman Bates has a hobby of taxidermy. He stuffs things, namely birds. His parlor behind his office is filled with these creepy stuffed birds, acting as voyeurs (much as Norman does) perched within his personal space. There are also portraits of birds in Marion's hotel room. The importance of birds in Hitchcock's filmmaking continues three years after the release of Psycho with another revolutionary film from the Master of Suspense: The Birds. You see, I just couldn't resist. Stuffed birds were the obvious choice here. 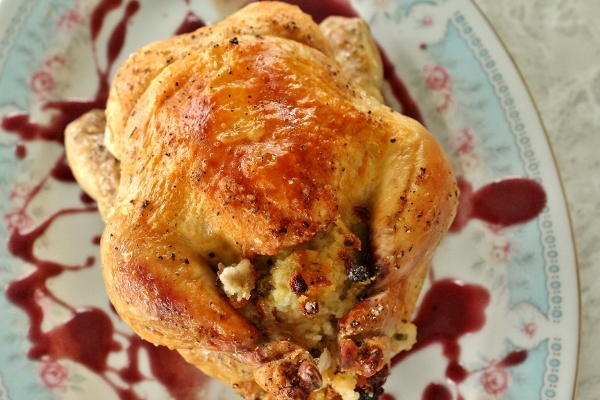 I not only stuffed them (deliciously, I might add) but I also created a somewhat red-hued gravy using a mixture of red wine and chicken broth. 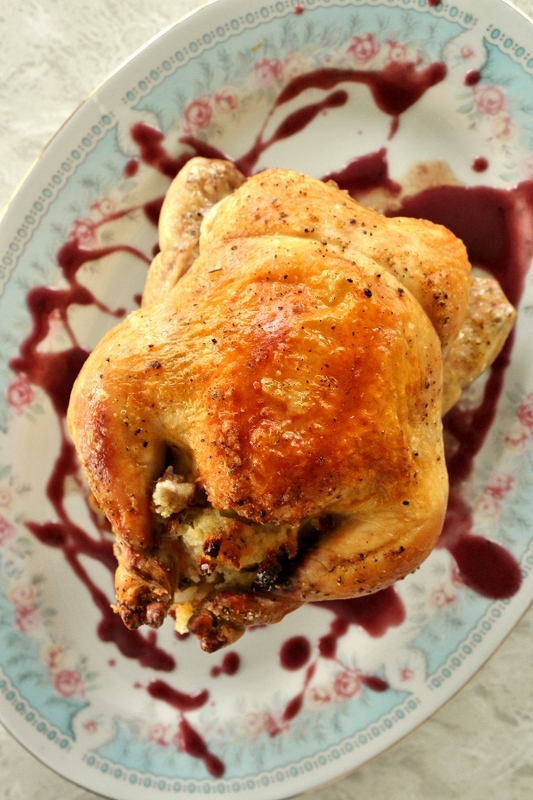 I splattered it all over my serving platter to mimic the effect of blood splatter, because you know, that happens in the movie too (SPOILER ALERT). PS Hitch used chocolate syrup, so his splatter wasn't technically blood red either. Homemade corn muffins are broken into pieces to create the base for the stuffing. Along with sauteed onion, celery, and garlic, and a mixture of herbs, the stuffing is bound with a bit of chicken broth. Simple, but delectable. It's sweet and savory with a bit of crunch from the celery. 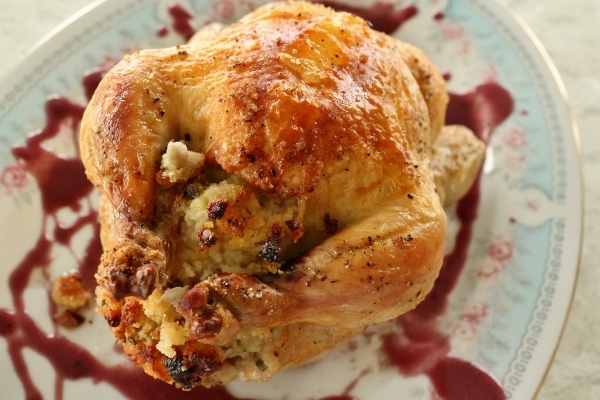 I actually stuffed this stuffing into the birds, but in my ideal world, I prefer "stuffing" served as "dressing," meaning, I like baking it on the side and not in the birds. 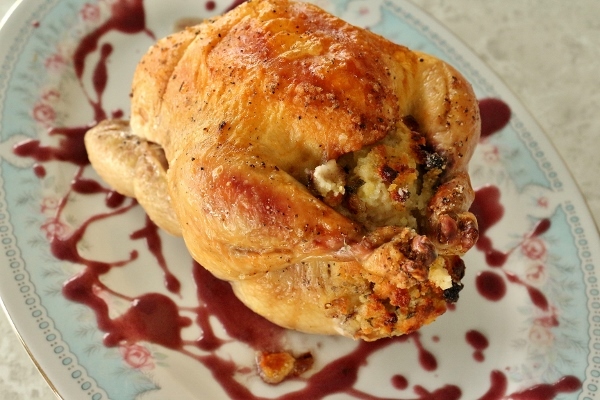 For the sake of this Norman Bates-inspired dish, I stuffed 'em! 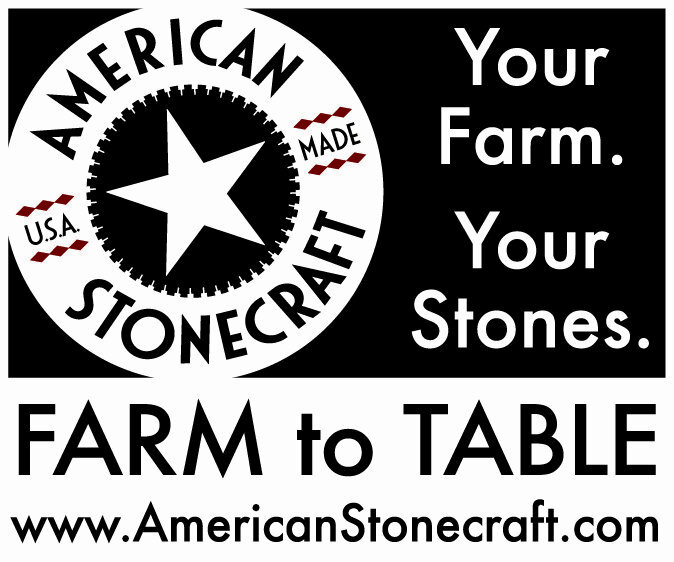 Head over to Foodalogue on October 28th for a full round-up of recipes! Start by making the stuffing. In a saute pan over medium-high heat, melt the butter and add the onion, celery, and garlic. Season with salt and pepper, and cook for about 5 to 7 minutes, stirring occasionally, until the onions are softened and the mixture is fragrant. Remove from the heat and set aside. 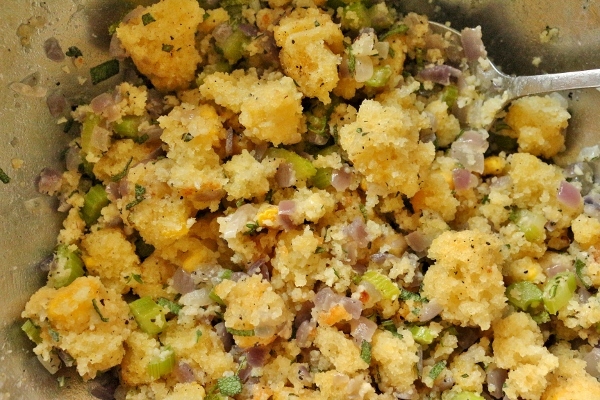 In a mixing bowl add the chunks of dry cornbread, onion mixture, chicken broth, and herbs. Mix to combine and adjust seasoning as needed. 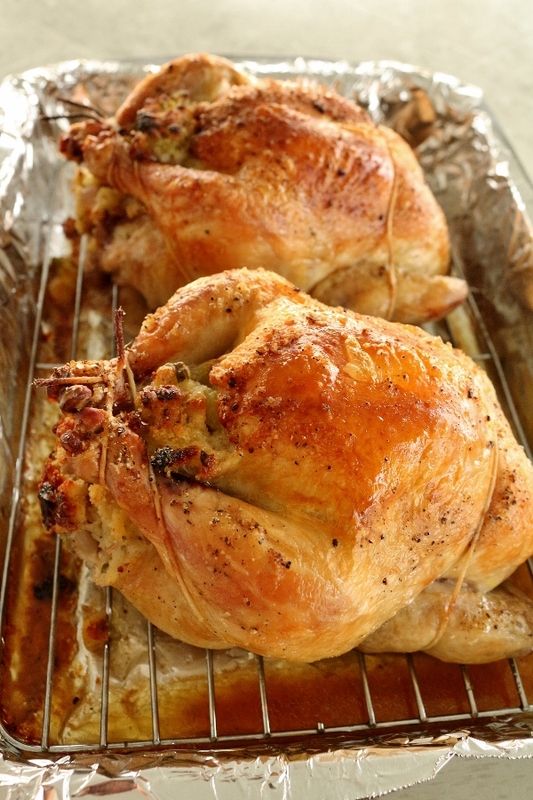 Preheat the oven to 450 degrees F. Line a roasting pan with foil and place a roasting rack inside. Remove giblets from the hens and wash and dry them thoroughly, inside and out. Trim any excess fat and remove any remaining pinfeathers. Pack the cavities of the hens with the cornbread stuffing. Any leftover stuffing that doesn't fit the hens can be baked separately in a ramekin. Truss the hens, making sure to tie the legs together to help keep the stuffing intact. Rub the hens with olive oil and season with salt and pepper. 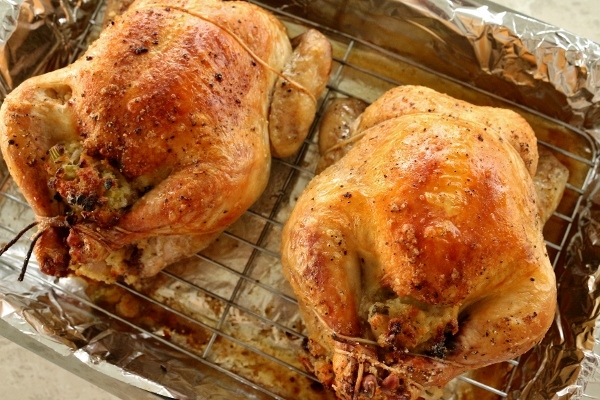 Roast for about 45 to 60 minutes, or until an instant-read thermometer inserted into the thigh reads 165 degrees F. Remove hens from the oven and allow them to rest for about 10 minutes, loosely covered with foil, before carving. Meanwhile, make the gravy. In a saucepan over medium-high heat, melt the butter and then add the flour. Whisk until smooth, and cook for a couple minutes. Slowly add the wine and broth, whisking constantly to keep the mixture smooth. Bring the mixture to a boil, then lower the heat to keep it at a simmer, add the thyme sprigs and season with salt and pepper. Allow the gravy to simmer for about 5 minutes until thick and fragrant. Remove the thyme sprigs from the gravy and serve alongside the hens.